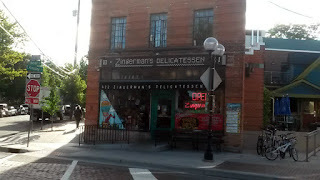 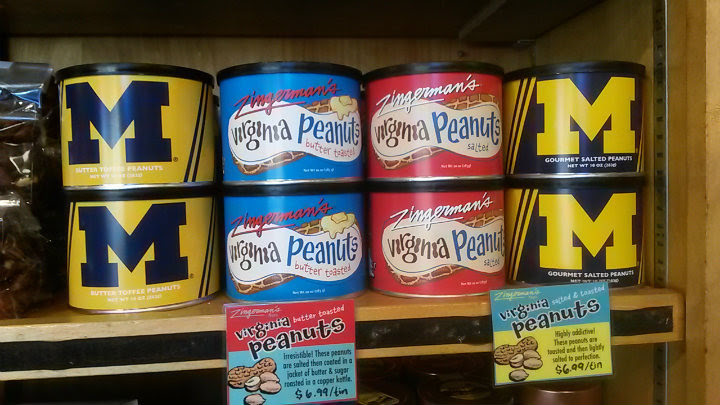 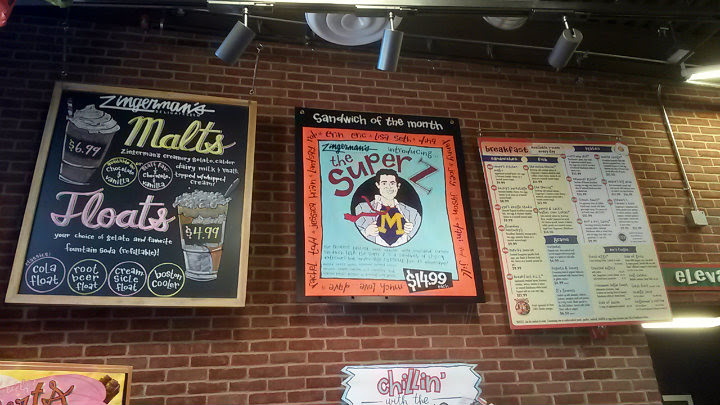 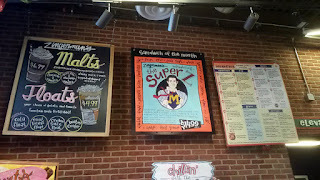 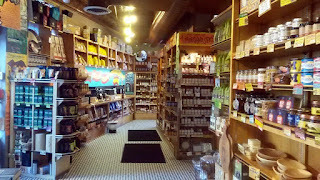 Zingerman's Delicatessen is located on Detroit Street in Ann Arbor, Michigan. A redeye flight into Detroit left the panda with maybe three hours of staggered sleep, so naturally the best thing to do was get my rental car ASAP and hoof it nearly 45 miles west to Ann Arbor, home of the University of Michigan. I found Ann Arbor to be a college town on steroids, lots of traffic (especially on college football game day). 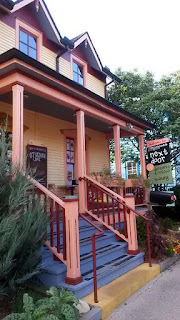 Pockets of college life and residential parking immersed with metered parking and downtown bustle. 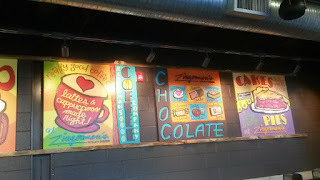 Zingerman's has two separate houses on Detroit Street, one for the retail store and deli, the other as a coffee house. 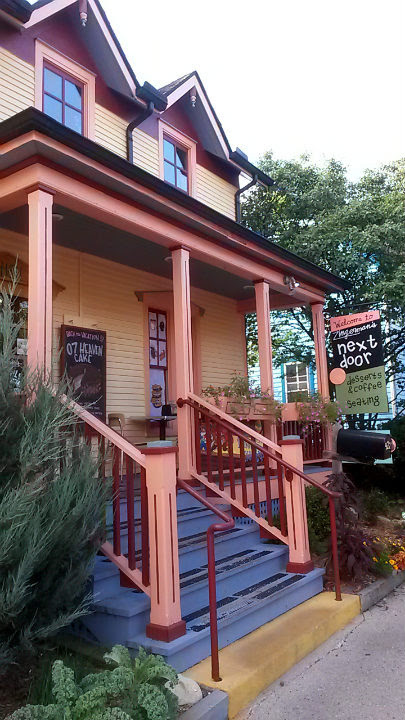 It can be a popular spot with the locals, but perhaps more so when it hits lunch and dinner. When I popped in just after 9 AM, there was virtually no line. 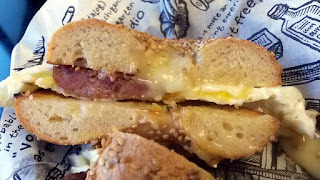 From the breakfast menu, the bagel sandwiches all looked enticing. 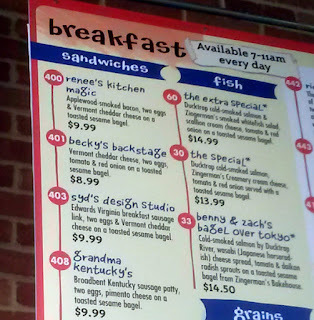 The Syd's Design Studio ($9.99) is #403 on the menu. 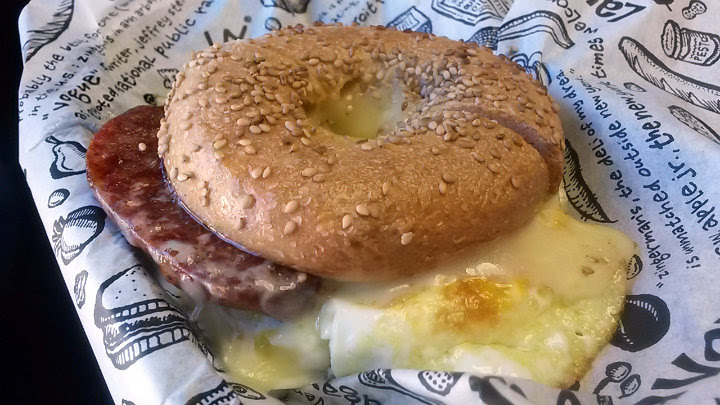 It contains an Edwards breakfast sausage link, two eggs (scrambled), and Vermont cheddar on a toasted sesame bagel. 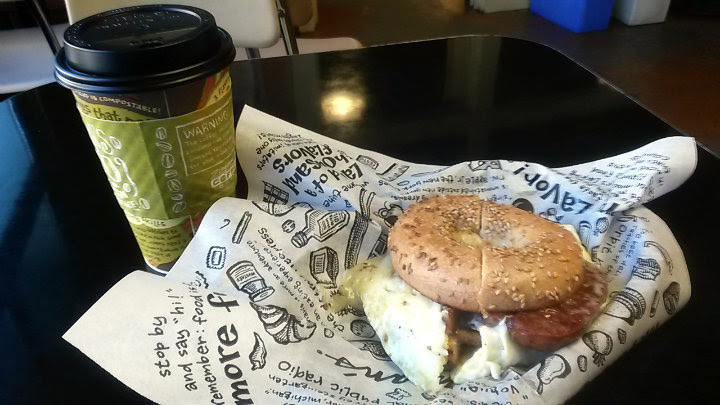 Wonderful bagel, chewy and a great crunch. The cheese and egg basically became a simple omelet. Delicious breakfast sausage, complete with the snap of the natural casing. 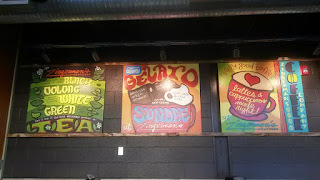 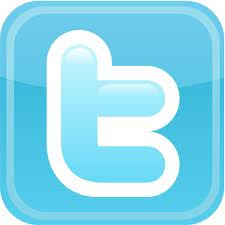 The Zingerman's brand includes many different products, and coffee is among that group. 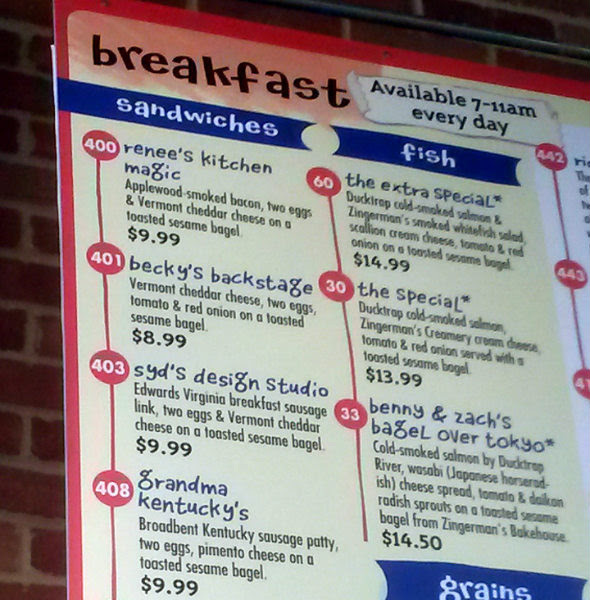 If dining in, you can get bottomless coffee for $3.75 and take whatever you want to go afterwards. 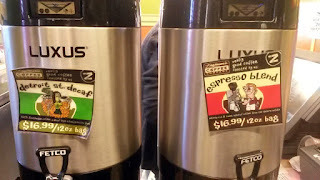 Their espresso blend was the coffee of choice when I went, but the flavors may rotate, and there could be a few specials that pop up from time to time. 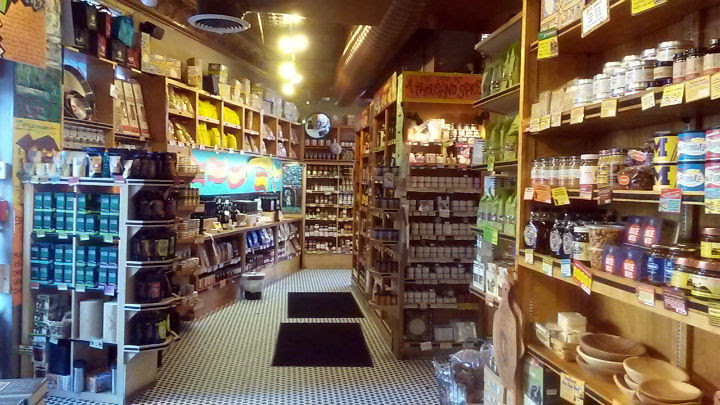 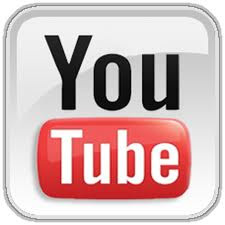 People may think the above items are pricey (and they are), but the quality is there. 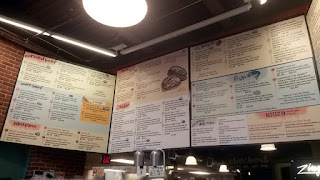 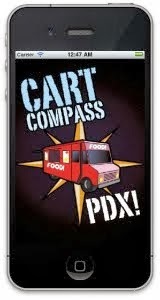 The inside is artsy and has vibes of Portland in it.